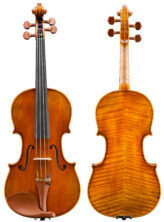 Our intermediate and advanced level violins are fully hand-carved and excel both in tone quality and playability. 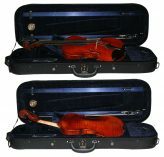 These instruments are well suited for the intermediate student, the advanced player, and even the professional. 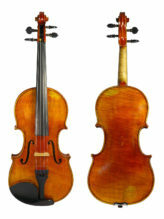 The violins in this range are both new and used. 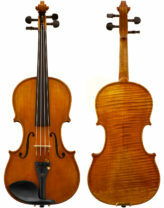 We also carry many older quality instruments by known makers. 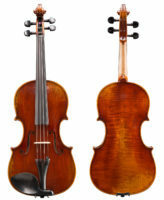 When considering one of these violins, we encourage you to take your time. Do not make any rash decisions. 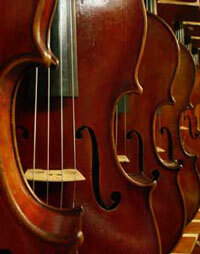 Come in our store and try several instruments. 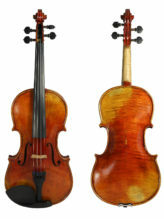 Our knowledgeable staff will be happy to assist you as you find the violin that is ideal for you. 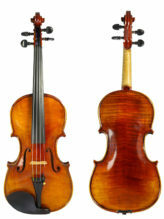 Violin Outlet offers a vast selection of both new and used intermediate and advanced violins. 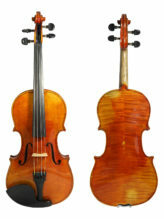 We are unable to list all instruments available, but others include: Gunther Reidel, Jean-Pierre Lupot, Raul Emiliani, Ivan Dunov, Carerra Fino, and Salvatore Cadoni Master. 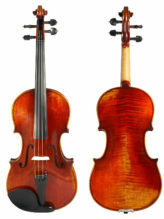 Below is a catalog list of some of our intermediate and advanced violins. Click on the items for larger images and a full description.